Millions of young children in the United States have cavities. Tooth decay is the most common chronic childhood disease. A cavity can cause pain that can make it difficult for a child to chew, which can affect nutrition. Pain can also cause a child to miss time from school, and parents can miss time from work to stay home and take care of the child. If a cavity is not treated, it can lead to an infection, which can become serious. Parents often think that a cavity in a baby tooth is not a big deal. After all, the tooth is going to fall out eventually, and a healthy permanent tooth will take its place. Parents sometimes don’t think it makes sense to pay a dentist to fill a cavity in a baby tooth. A cavity in a primary tooth should be treated for several reasons. Pain can interfere with a child’s life in many ways. An infection can develop into a serious medical issue. If decay is left untreated, it can get worse, and it may be necessary to extract a baby tooth that could easily have been saved by filling the cavity. Some parents think that having a baby tooth extracted because of decay wouldn’t be a bad thing since it is going to fall out anyway. The truth is that baby teeth are important and should be taken care of so they can remain in the mouth until they are ready to fall out naturally. Baby teeth help children eat and speak clearly. If a child has to have a baby tooth extracted before a permanent tooth is ready to replace it, the gap can make it difficult to eat nutritious foods and speak properly. Primary teeth also hold spaces for permanent teeth. If a baby tooth is lost too soon, the other teeth can move into the space left behind. That can lead to crowding and crooked teeth. Those problems may need to be corrected later with braces, which can cost thousands of dollars and may take years to be effective. A cavity in a baby tooth should be treated with a filling, unless the tooth is ready to fall out on its own. 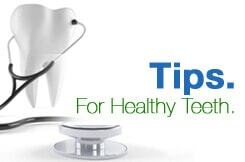 It is generally best to treat a cavity as soon as possible, before the problem gets worse. This can prevent pain, infection, and problems that could require future orthodontic work. If your child is complaining of a toothache, schedule an appointment at CT Pediatric Dentistry. We will examine your child’s teeth and take x-rays to look for signs of decay. If we find a cavity, we may recommend a filling to preserve the baby tooth until it is ready to fall out on its own. Schedule an appointment for your child today.